There is no doubt that YouTube is the leader and will be leading in the web history for hosting videos. Users can view and upload many videos of different categories and is a centre of entertainment now a days. YouTube is the ranked 3 website in the Internet and ranked 1 website in video hosting and sharing field. on top of that Google always tries to introduce new features to users and change the old ones. In this way they had introduced 4 new features. We are now going to give a look at those 4 new features they officially launched on YouTube. Actually watching videos on the internet is a tough task for users with low band width because they are confined to low internet packs. With this slow internet users cannot watch videos without buffering for a long time and watching videos can easily empty ones pocket money to change the internet plan because for a 10 minutes video on internet it easily consumes 100MB of data. To overcome this problem YouTube has implemented new technology for playing videos even in low bandwidth. That is 'Feather' which is in beta stage with lowest latency. In this mode it does not show any videos on right side(No Suggested Videos) and reduce the bytes that are been downloaded by the browser. This is the new feature which is implemented on HTML 5 version and now YouTube tries to embed this format in their videos by replacing default .flv format. The main advantage of this new feature is that you can watch videos on youtube with out any flash plug-in. It works on all latest browsers like firefox, safari, chrome and Internet Explorer too. So this feature can avoid flash plug-in crashes and security breaches using out dated flash plug-in. By using this feature users can answer questions which are displayed on video playback. 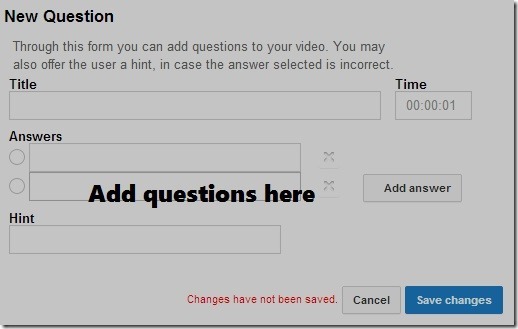 If you have any video channel then you can also add some questions for users. This option is available on video edit page. This feature may or may not be used in future on YouTube. If more users want this feature then it can be alive on YouTube. 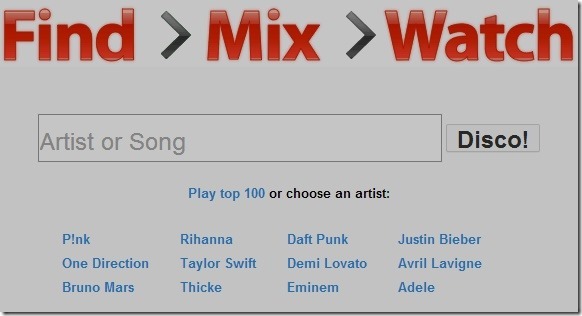 Now you can mix up your favourite songs on Youtube. They come up with new feature that allows you to mix popular videos on YouTube. They named this feature as 'Disco' and the process they applied just find, mix and watch.